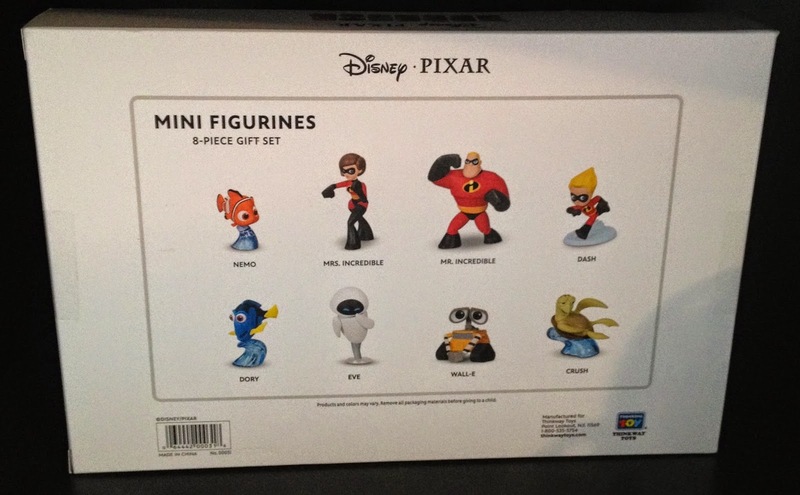 Just released by Thinkway Toys, here is the brand new assortment of Disney/Pixar "Mini Figurines"-a Toys R Us exclusive! 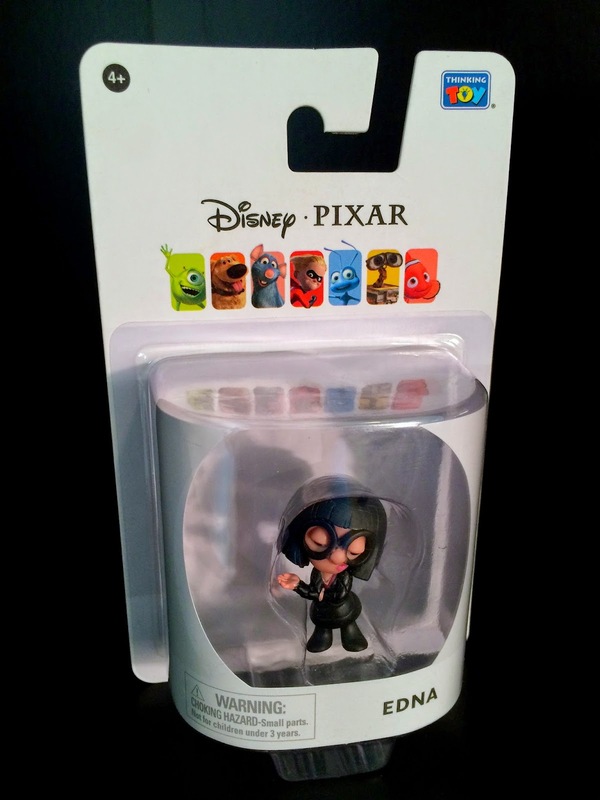 These adorable and stylized mini figures come in a starter/value 8-pack gift set, but are also all available as individually packed figures. 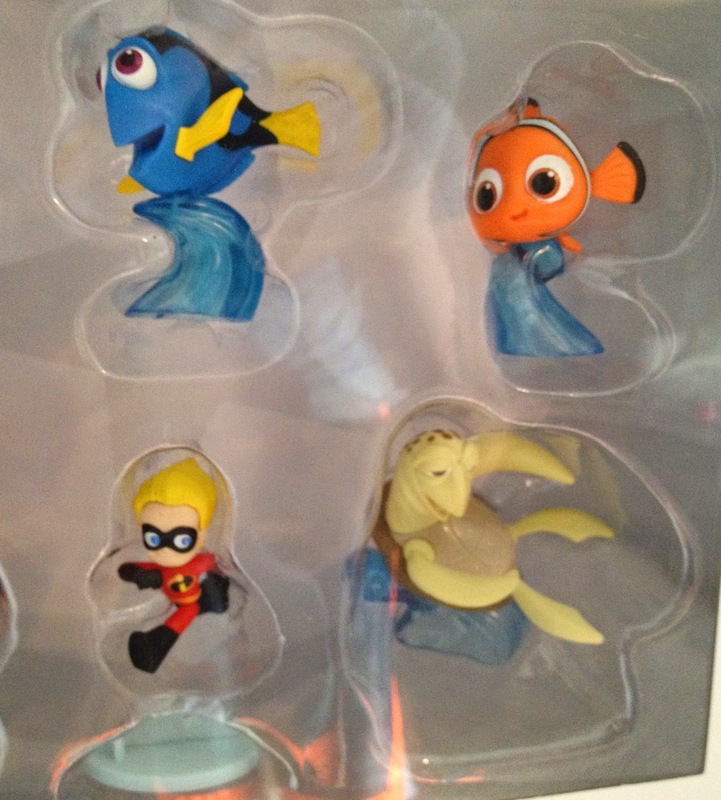 The 8-pack retails for $26.99 and features: Wall-E, Eve, Dory, Nemo, Mrs. Incredible, Mr. 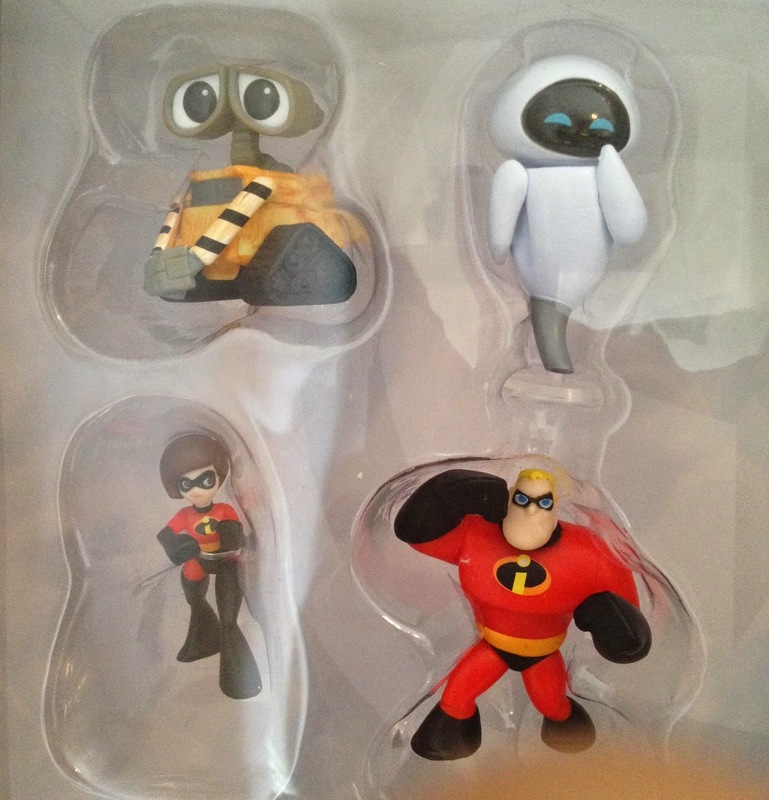 Incredible, Dash and Crush. The single packs retail for $4.99 each, so you actually save quite a bit by starting with the 8-pack, rather than trying to buy them all individually (if, of course, you do plan on buying them all). 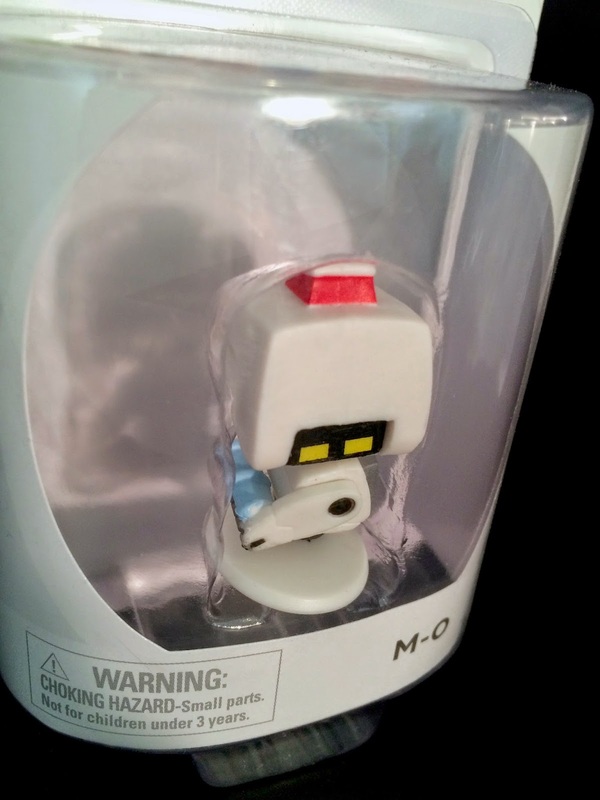 These figurines are very small and only stand at about 1.5-2 inches tall. 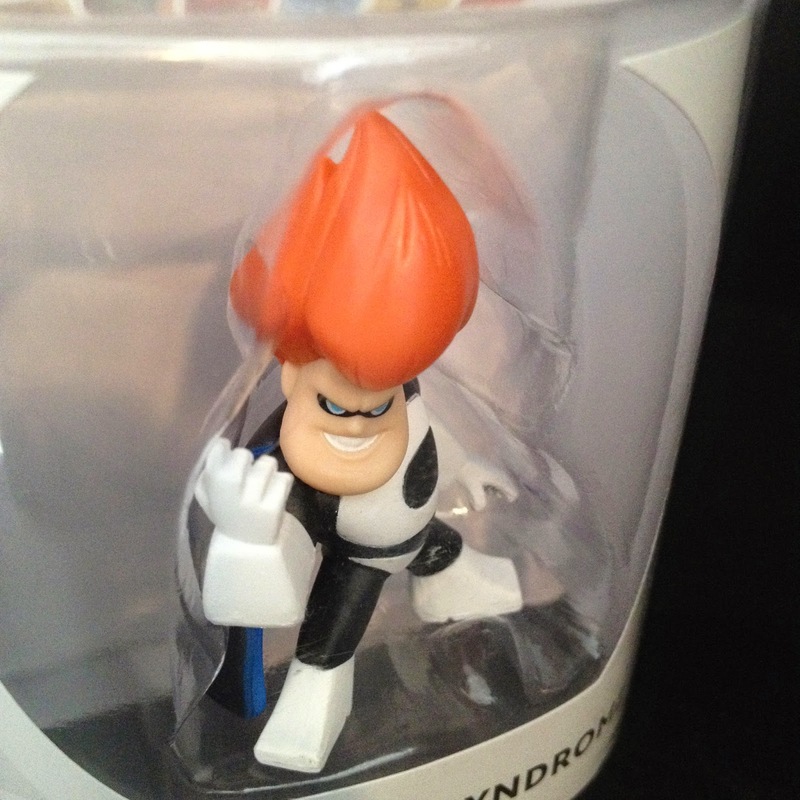 Like Syndrome (shown below), there are a few characters not included with the starter gift set. These ones are only available individually. 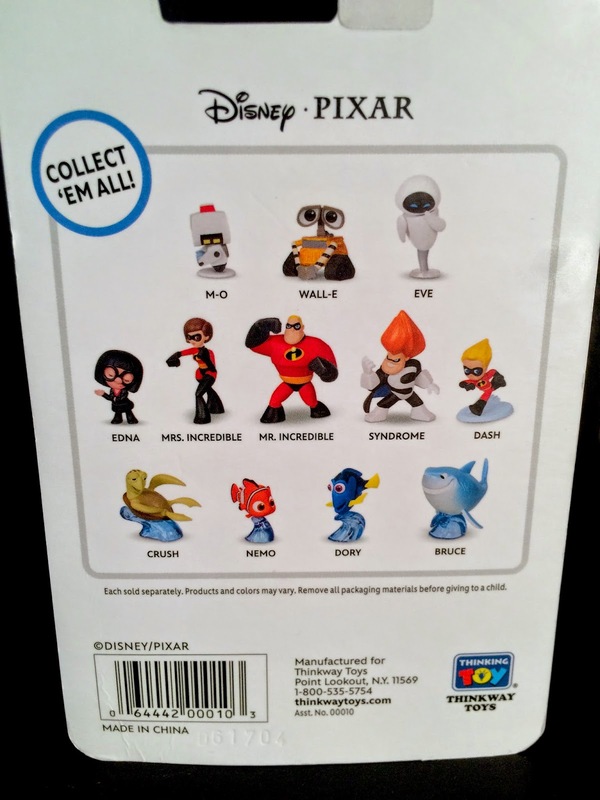 As seen on the back of Syndrome's package, there are also three others that aren't out quite yet, but assumed to be released in the next wave: M-O, Edna and Bruce. 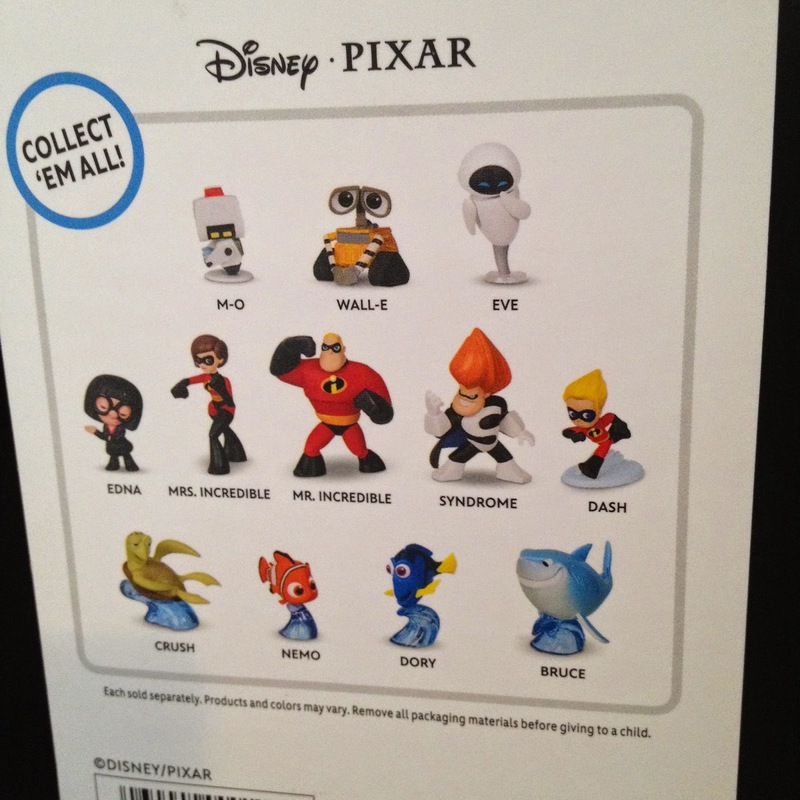 Those will be posted right here as soon as I'm able to track them down! As of now, there are 12 figures to collect total, but I'm not sure if Thinkway has any plans to continue this line into the future. I sure hope so! 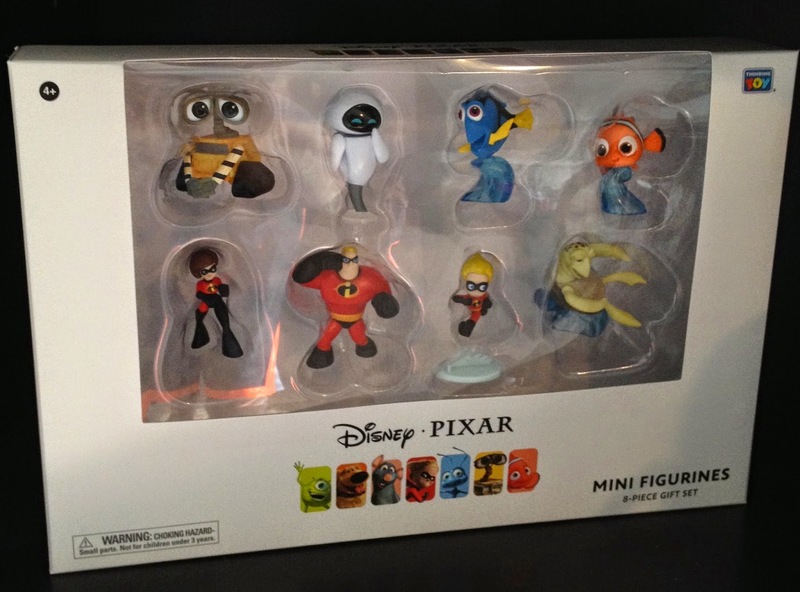 I would like to see more of these, featuring characters from some of Pixar's other films. 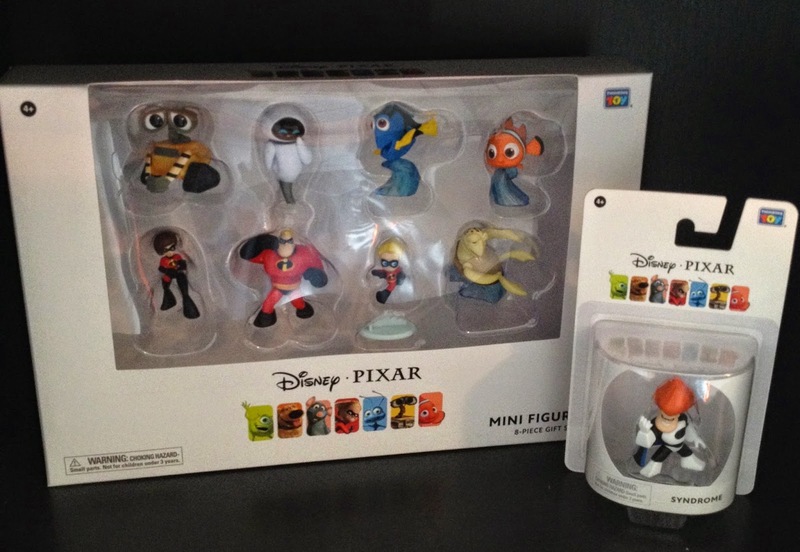 All in all, this is a fantastic and cute assortment that I can't recommend enough for anyone (kids and adults alike) who consider themselves big Disney/Pixar fans. They're of course aimed for young kids (ages four and up), but are also cool enough to be proudly displayed by adult collectors. 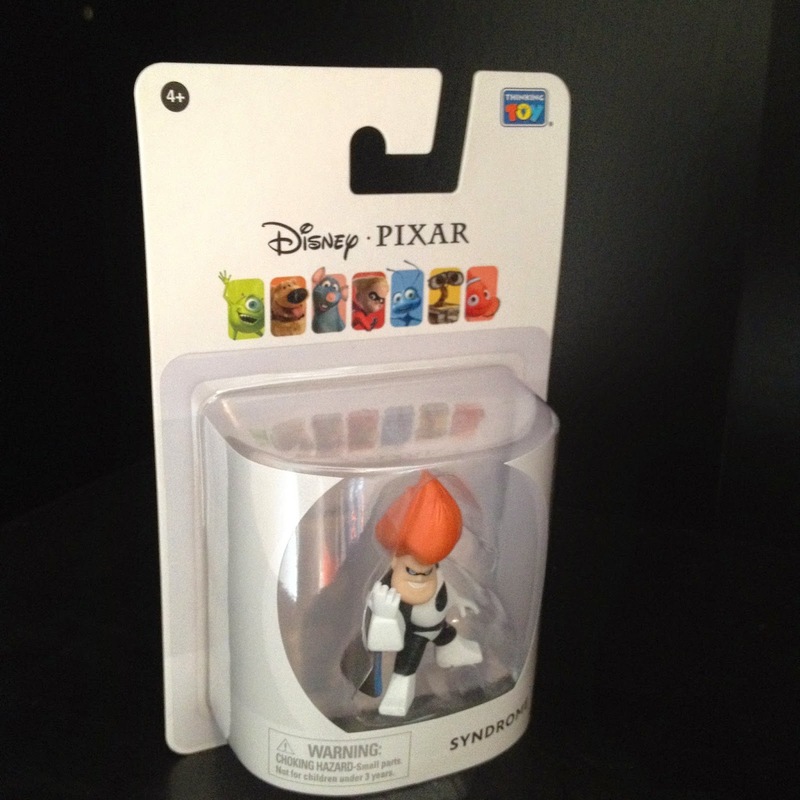 Head to your local Toys R Us to find them or search for them online at ToysRus.com, Amazon.com or eBay.com. Yes, my phenomenal wife hooked me up again and was loving enough to pick me up this set, even though it was supposed to be a Christmas present! My post wouldn't be complete without another shout-out and huge thanks to her. She's so thoughtful! 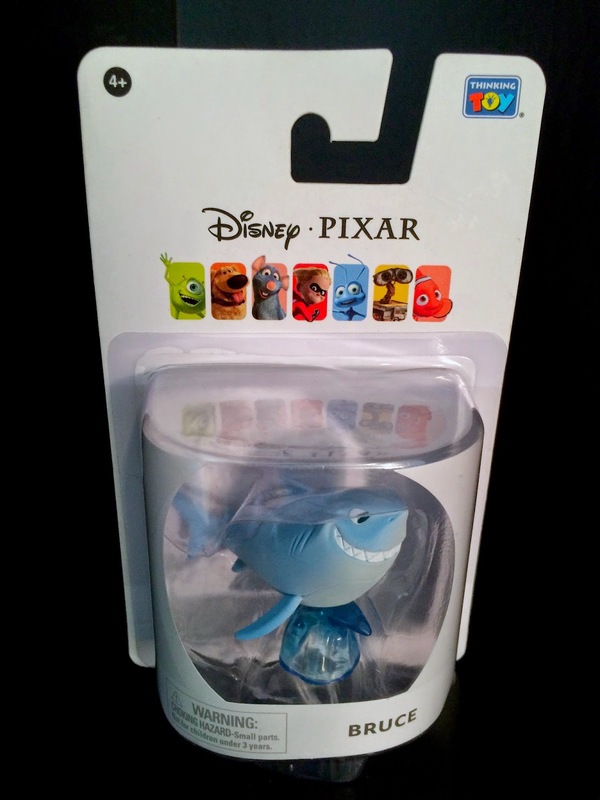 Thanks so much for stopping by and be sure to visit my homepage daily as more items from my Pixar collection will be added soon. 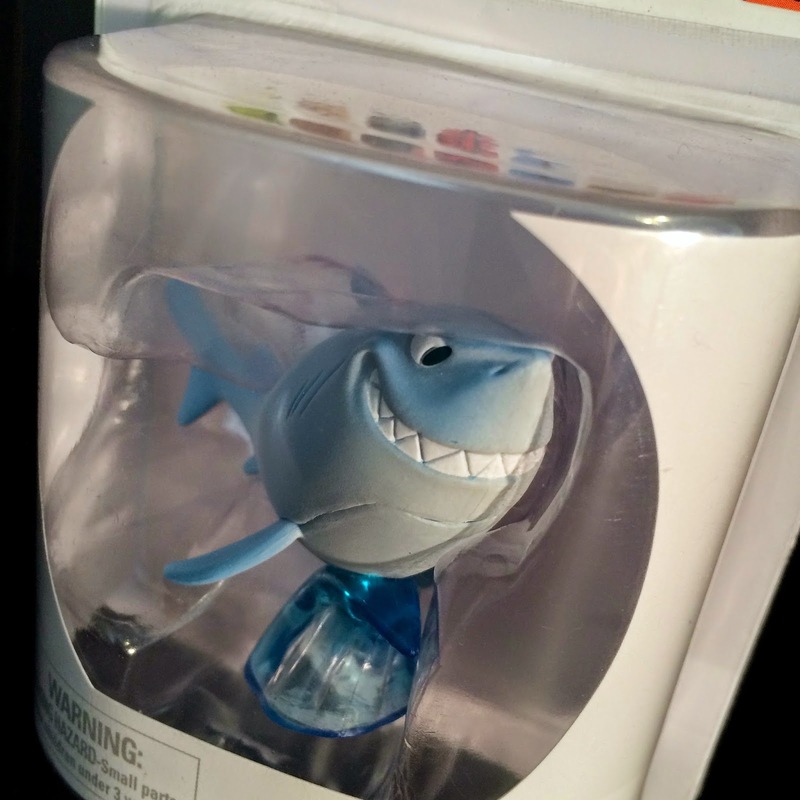 Note: Be sure to check out my recently posted "Cuddle N Talk Nemo", also from this new 2014 Toys R Us exclusive Disney/Pixar Thinkway Toys collection. 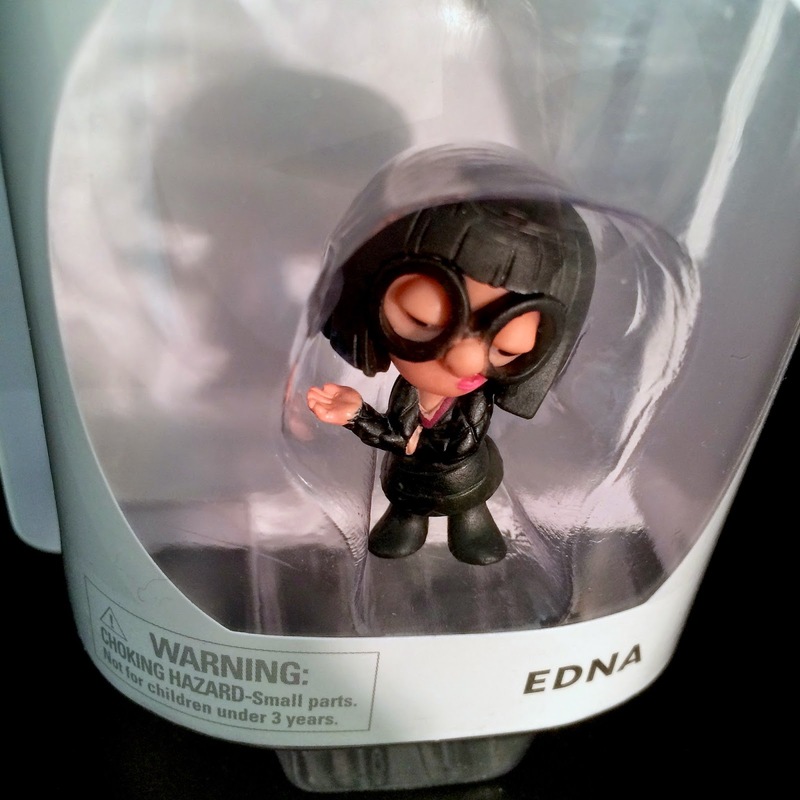 The last three mini figures from this series has been added to my collection; M-O from Wall-E, Edna from The Incredibles and Bruce from Finding Nemo! 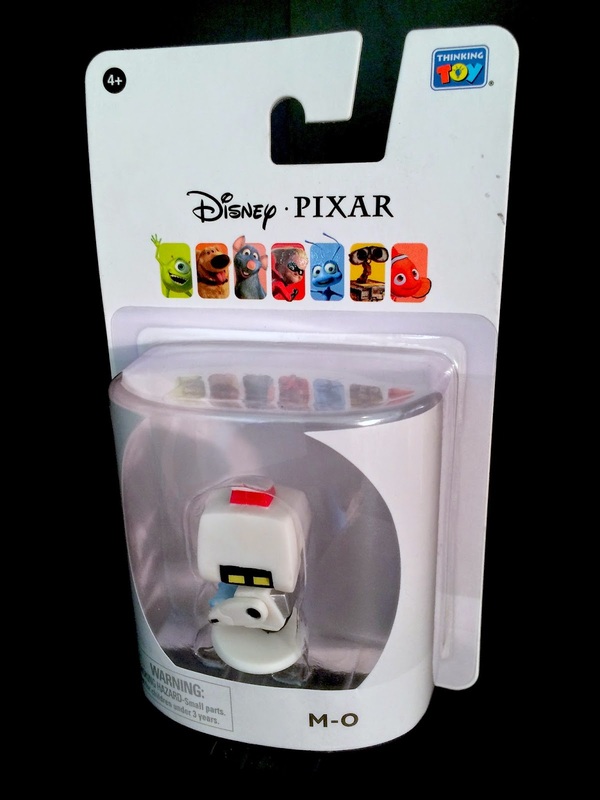 If it wasn't for my good friends T.J. and Julie from PixarPost.com, I would still be driving myself crazy looking for these. A big thanks to them for sending these over to me and for always helping me with my collection whenever they can. They're we have it! This collection of great mini figures is now complete - for now- but I'm really hoping for more in the future. What are your thoughts? Any particular figure stand out to you as a "must have" favorite here? Any characters you hope to see in a future wave 2 of this series? Comment below!